New York, NY: University administrators may be violating American students’ First Amendment rights when they curtail criticism of Israel, according to the National Lawyers Guild. Prompted by growing reports of censorship by student activists and the Irvine 11, David Gespass, President of the National Lawyers Guild, issued a letter to over 100 university administrators around the country clarifying their duty to protect the rights of Arab and Muslim students. 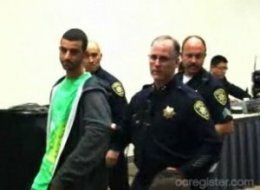 The conviction of the Irvine 11 is a testament to the degree that Islamophobia has grown in the West. Moreover, it is a testament to how unwilling the United States has become to question its relationship with Israel.